We know youre going to #likewhereyoulive. But most importantly -- we want you to love getting there. And you will with Matthew and Erica as your guides and Compass as your tool. To get started, download the Compass iPhone/iPad app here and give us a call! 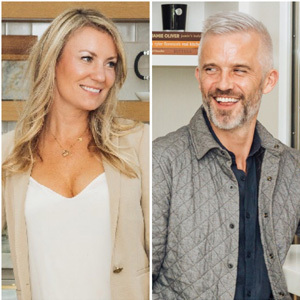 Erica and Matthew have been navigating Bay Area real estate for over 15 years and have weathered all kinds of market conditions. From blue skies to stormy clouds, Erica and Matthew have successfully helped countless clients, friends and family find their place in the world. Matthew and Erica take the time to understand your needs and find creative solutions. They work tirelessly with buyers to identify the right property, negotiate the best possible deal putting their extensive contractual knowledge to work, and getting tough transactions to the finish line. They shepherd sellers through the entire sales process from property preparation, expert pricing, and innovative market strategies. They are collaborative, compassionate, and driven. Matthew and Erica are well known and respected amongst industry professionals and easy to work with. They get the job done with equal parts grit and grace with a dash of charisma. Prior to joining Compass as founding members both Erica and Matthew enjoyed long careers at Pacific Union International/Christies Great Estates. Both Erica and Matthew are second generation real estate professionals with over 30 years of combined experience. Erica began her career at Pacific Union International in 2002 and Matthew in 2004. First coined by the philosopher Aristotle, this phrase aptly defines the modern concept of synergy. And synergy is exactly what Erica and Matthew bring to their clients. After years or working side by side at Pacific Union, Erica and Matthew became longtime friends and respected colleagues. They teamed up in 2012 and their combined energy has been a formidable force to be reckoned with ever since. Erica and Matthew are available 24/7 with their concierge style of service connecting you to their vast network of service providers for all your real estate needs. Living in 12 states and 4 countries, before he was 20 years old has driven Joe to obsess over the comforts of home. 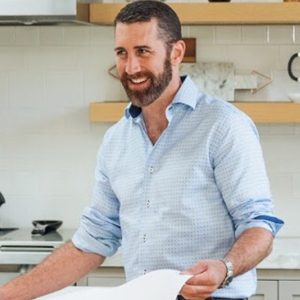 Joes passion for design, matched with his exceptional financial foresight, have allowed for his repeated success with multi-family investments. Armed with a Masters of Science in Real Estate Development from Columbias Graduate School of Architecture, and 15 years of experience in the Bay Area, Joe is equipped to lead projects through all stages of development - from site identification, financial evaluation, acquisition, due diligence, entitlement, design development, construction, lease-up, asset management and eventual disposition. The bulk of Joes career has focused on concurrent new and renovation projects throughout the Bay Area, averaging 150-250 units per property and $40-60M in development or acquisition costs. In the process, Joe forged strong relationships with local architects, land use attorneys, contractors, city staff and elected officials to assure project feasibility and continuity. Recognizing that smaller-scale properties with an existing cash flow can provide a greater and faster return on investment, Joe is now applying his background to identify 5-30 unit buildings that bear the potential to increase unit count, to significantly increase the net operating income and the overall value of a building. Multi-family investment in the Bay Area has probably the highest barriers to entry of any other similar market in the country. Joe is uniquely adept at breaking down those barriers, while maintaining the best interest of investors in the pursuit of their goals for maximum returns.